Wow it feels like it's been so long since I've posted about beauty! Lately my routine has been minimal at best, opting for just a touch of mascara and filled brows or a light foundation look. I haven't been bothered to do more since I've been in the apartment and avoiding the heat for the most part! But I have been upping my skincare game more recently due to a number of reasons, that means new products and reviews to share with you all though! It's been a while since I shared my favorite face masks, and lately I've been using so many that I feel like I just have to share what's been working for me. I'm covering a lot of different skincare needs with these masks, so whatever issue you're attempting to resolve, I probably have a mask for you! The masks I'm sharing all vary in what they do and how much they cost, but each of them has worked wonders for me! I've noticed this year that my skin has actually gotten less sensitive, so just remember things that may not give me a reaction might affect your skin in a different way. So always test the mask on your hand before placing it on your face! Let's start off with the cheapest masks! I never judge a mask on its price, because even the cheapest of masks can be incredible and the most expensive a dud. 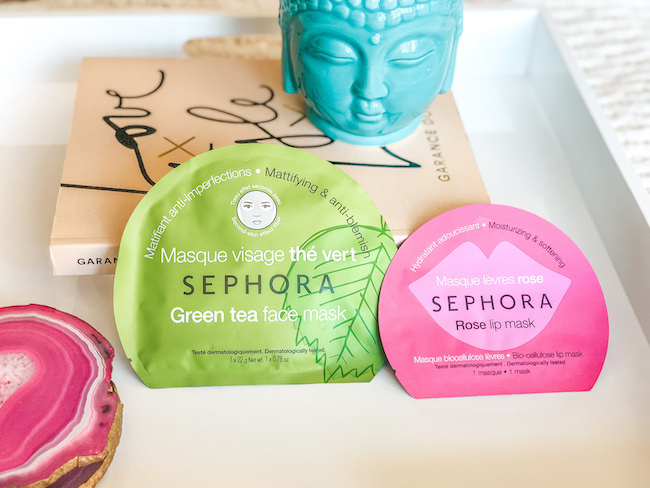 These masks from Sephora may not be pricey, but the results are always amazing. I've been using these masks for a few years now and keep coming back to them. 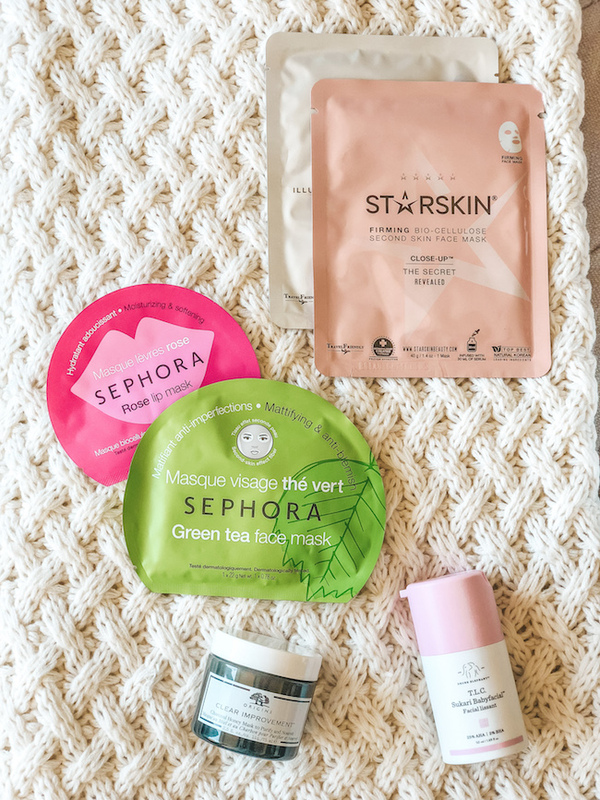 The green tea mask is my go-to when I'm feeling a breakout coming on or when I feel like my skin is getting too oily. It simmers down my acne spots, drys them out just enough, and clears my face faster than any other acne mask I've tried. I can't ever have enough lip masks! I've tried and loved a few, but this one is always my #1. I have notoriously dry and chapped lips, chapstick is essentially my best friend. On the days where my lips are feeling extra dehydrated and rough, I bust out this mask for some much needed love and moisture. At only $3 it's barely a splurge and always does the trick. My mouth is always smoother, softer, and extra moisturized after using this mask. Ah how I love Origins! They're one of my favorite skincare brands, and they always have the best masks! I was recently sent this one along with the same mask but for oily skin (this one is for normal/dry) and am obsessed with it. 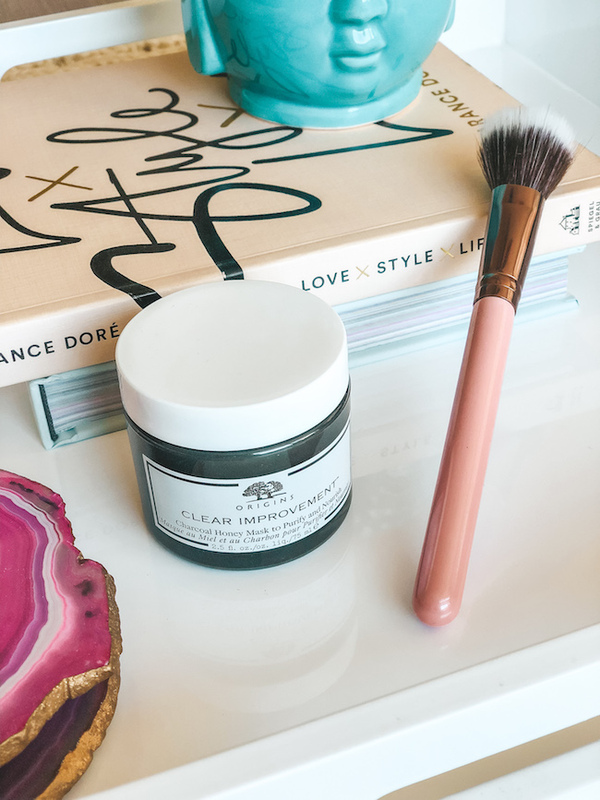 It's a charcoal mask infused with honey, and it literally looks golden when you put it on. I tested this mask and shared it on my Instagram stories (check there often for new products and other fun posts!) and had my best friend test out the oily skin version. The mask worked super well for cleaning out my pores, and didn't dry out my skin in the process! Such a blessing that a charcoal mask isn't drying!! My best friend used the original charcoal mask (without honey) and said it did a great job clearing her clogged pores as well, and definitely recommends it for those looking for something that makes your skin feel fresh again. I've had a huge pile of these STARSKIN sheet masks sitting in my mask drawer for months now, and have only recently pulled them out. I purchased this set (currently on sale!) and have tried a good amount of them already. The two above I haven't tried, however I already used the ones I want to talk about! As I mentioned, I typically have dry skin, so moisturizing masks are what I gravitate towards when searching for something new to try. STARSKIN's Red Carpet Ready Mask gives a great amount of hydration and smooths my skin for the rest of the day. My second recommendation from them is the Eye Catcher smoothing mask which has really helped to blend out those fine lines around my eyes. Although I'm still young, it's never too early to start fighting off fine lines and wrinkles! This mask is one of the few where I've actually seen a difference in my lines after taking off a mask. The priciest mask of the bunch, but don't worry y'all I think it is definitely worth it!! I was sent this in a PR box recently and wasn't sure how I would feel about an at-home facial type mask. Would it do the same work as a regular facial? Would it hurt since it's shedding my dead skin cells? Well let me tell you, this is the best facial I've ever done and I will be using this mask in my skincare routine indefinitely. I love how this mask makes my skin look and feel, I do honestly feel like I get all the benefits of a facial, without the pain and irritation of someone picking at every flaw on your face. Does it clear out the incredibly deep pores, acne, etc? No, but it does clear off a layer of cells and dead skin to give you a refreshed, clean, and renewed face. It gently exfoliates and provides just enough oomph to get all the bad stuff out. My face did get a little dry when I took the mask off, but I used two tiny drops of Drunk Elephant's Virgin Marula Facial Oil to re-hydrate and I swear I had the best skin of my life. My skin had never felt so soft! I highly highly HIGHLY recommend this duo to anyone who is looking for that 'perfect' mask to change the life and quality of your skin. 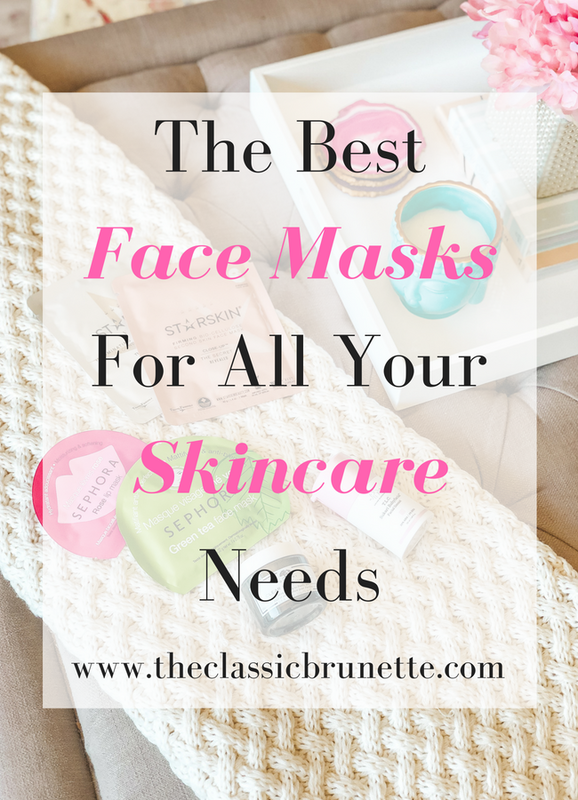 Have you tried any masks that you love lately? I'm always looking for new recommendations! I wanna try the Red Carpet Ready face mask! I also have super dry skin so moisturizing face masks are what I look for as well. I totally need to try that green tea facemask... my skin has taken a beating this summer! I've been wanting to try that drunk elephant one! I've heard great things! I love the sephora green tea mask though! Thank you for sharing! I've been wanting to get back in my facial masking routine. I'm going to try the green tea mask from sephora! Thank you for sharing these great face mask. I love the Sephora Green Tea Mask! I just got an overnight mask from Bliss and I'm so excited to try! I love the Sephora and Drunk Elephant Mask - soo good! My sister in law recently purchased the drunk elephant vitamin c serum. It smells amazing! I love a good face mask! I've never tried lip masks before but I think I'll give them a try, now that I've read this! I love the original Origins charcoal mask -- so good for oily skin! I want to try that Drunk Elephant one! I've heard so many great things about it!